"Measure a wide range of temperatures!" 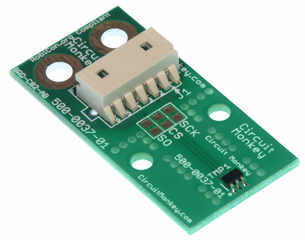 Circuit Monkey model 0037 is a SPI compatible temperature sensor available as a RobiCon.org compliant module. The sensor is capable of measuring temperatures range of -40�C to +125�C to equal or better than 2�C of accuracy. 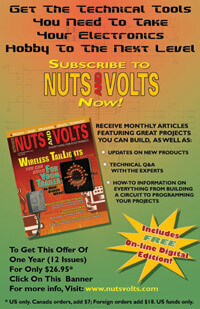 The device operates from 2.7V to 5.5V with low supply current requirements. 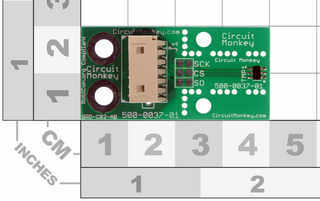 The Circuit Monkey temperature sensor (10-bit) uses the Texas Instruments TMP125 chip mounted on a versatile and customizable carrier board. The TMP125 based board features a "One Shot" measurement feature that will put the chip into a 1uA power saving mode after the measurement operation. Micro - same features as Split but with a minimized sensor tip. 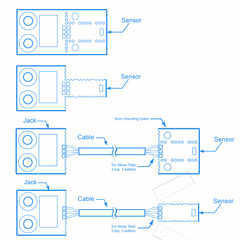 In addition to board customizations, this board is also available with primary connector options. The standard unit shown here features a 2mm pitch Molex/RobiCon connector but we can alternately solder in a 0.1" pitch single row header (right angle or straight). Please contact us for your customization needs. 12-bit version of this sensor is also available.